Building lives for better futures for youth. Preferred Family Healthcare is involved in a number of ways in which we support children and adolescents who have either been removed from their home or are in a situation where the family is in need. 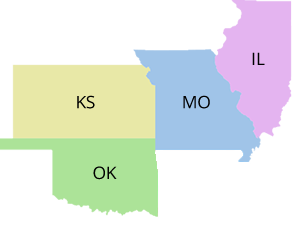 In Missouri, we provide Privatized Foster Care through Springfield Partners. John H. Chafee Foster Care Independence Program. Transitional Living and Scattered Sites Residential Support. Personal Responsibility Education Program (PREP). In Oklahoma, we provide clinical support for those in Foster Care. I learned how to cook, clean, and manage my money. I saved enough money to buy my very own car.